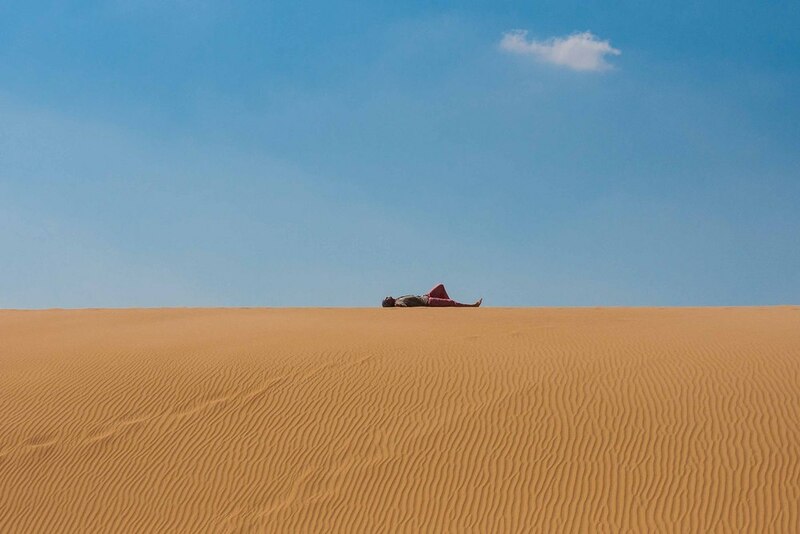 "...there are blessings in the desert. You can be pulled into limitlessness, which we all yearn for, or you can do the beauty of minutiae, the scrimshaw of tiny and precise. The sky is your ocean, and the crystal silence will uplift you like great gospel music." The desert, it turns out, is a pretty amazing place. The silence and vastness envelop you, and that's just during the daytime. In the night, when millions of stars emerge, you almost feel as though you're being sucked into a speckled vacuum. 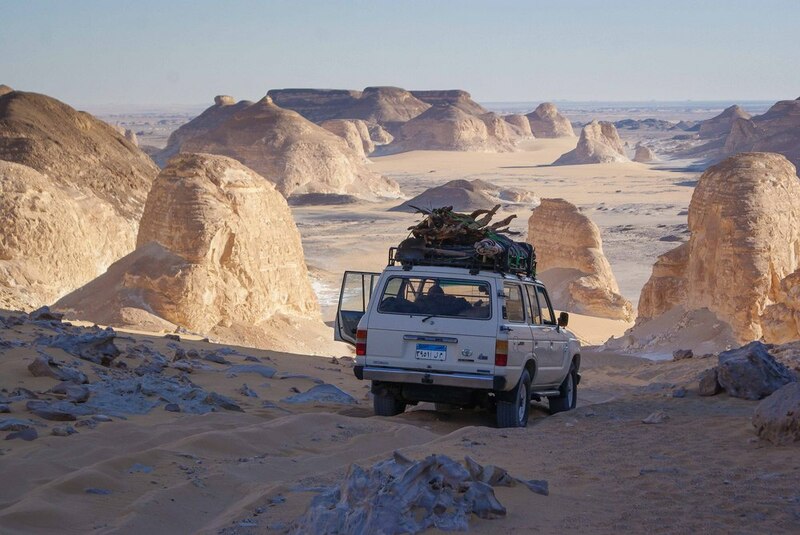 And so we found ourselves in the White Desert National Park (a small northeastern section of the immense Sahara). All we had were sleeping bags, food, an awesome driver, cameras and a sense of amazement. I recommend bringing the last item with you on every trip. 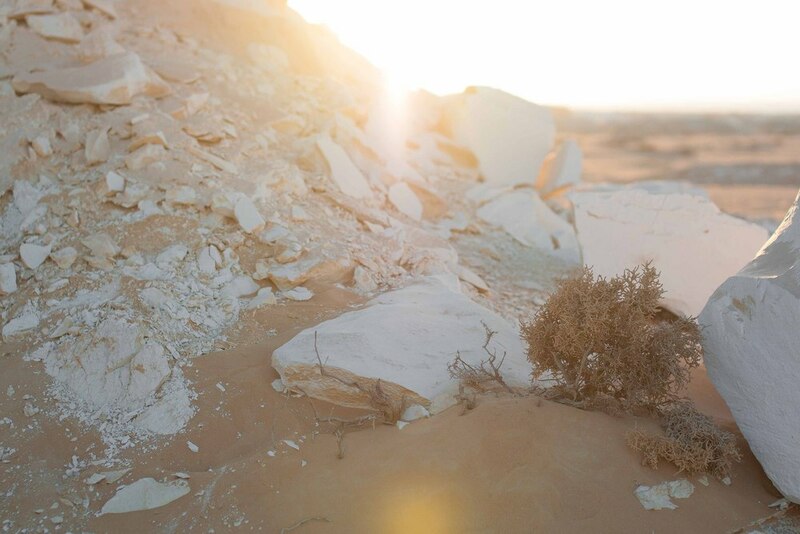 Much of the White Desert (a small section of the Western Desert) is made up of fossils dating back 80 million years. The white limestone looks like streaks of snow laying atop the sand. While it looks like snow, it feels like rock if you fall on it. Duly noted. Very few moments or places in life let you transcend the continuity of time and feel a sense of nothingness and fullness at the same time. This place totally does. I didn't think it was possible to fall into the sky. Until I ended up in the Western Desert. I learned that the shortest way down from a large, steep ledge is straight down it. Take that, math class. The jeep we travelled in was a simultaneous rocket ship and time machine. This is where we ended up. We found friends in the desert! It's hard to believe this was under the sea only 80 million short years ago. The birthday girl snapping away. Perfect light? Indeed. Our campsite for the night. Although, a month or two would have also sufficed. 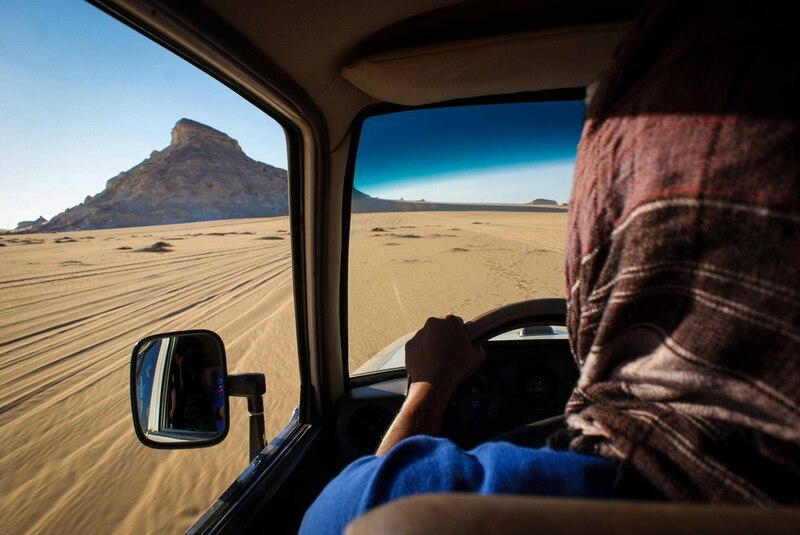 I thought Ahmed's greatest skill was his superb navigation and driving in the desert. Until, of course, we tried his grilled chicken over an fire made from scraps of wood. 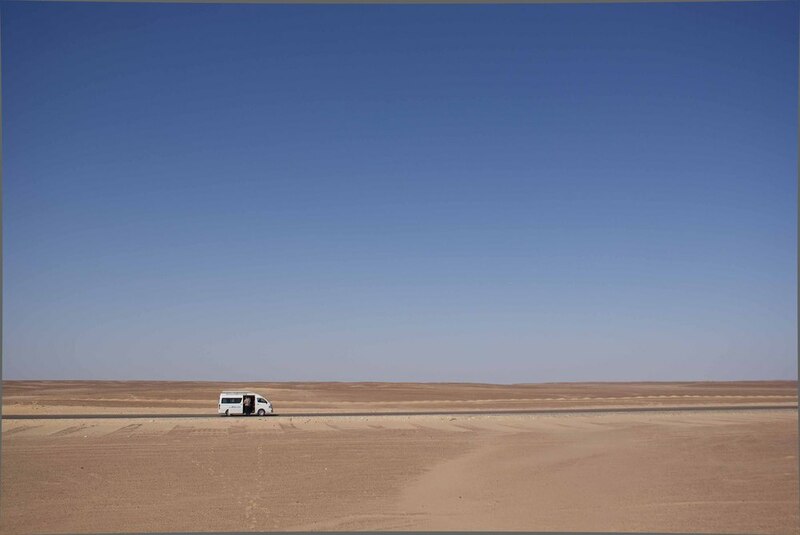 In case you've ever wondered, this is what getting stuck in the middle of desert on your way home to Cairo looks like.